Like the spokes of a wheel, a great many post war artists were connected by the hub that was Hans Hofmann. In 1950 he wrote: “Our working places should be made into palaces where it will be a joy to work.” This comment came from his lifelong fascination with the transformative effect of art on architecture. However, Hofmann himself had such a powerful effect on many students who came to study with him over a period of nearly twenty eight years before devoting himself entirely to his own work. He was born in Bavaria, and at age six his family moved to Munich, where at an early age he gravitated towards science. He went on to develop and patent a radar device for ships at sea, and other unique inventions. In 1898 Hofmann began to study at various art schools and from 1904 to 1914 he lived in Paris where he attended two important Academies. During this time, he met Georges Braque, Pablo Picasso and other Cubists. His first solo exhibition in New York took place in 1944 at Peggy Guggenheim’s gallery-museum Art of This Century. 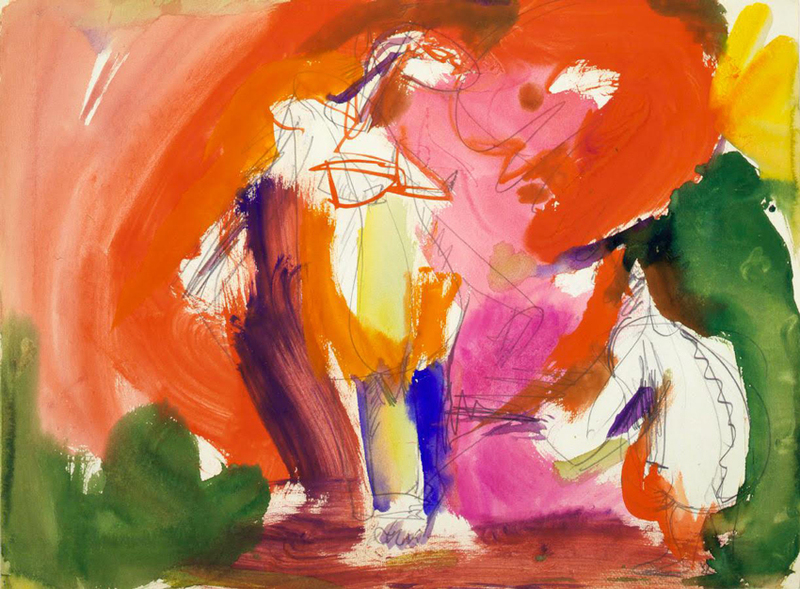 In 1960, Hofmann’s work was featured in the Venice Biennale, and three years later, The Museum of Modern Art mounted the landmark exhibition “Hans Hofmann and His Students.” When he became financially secure at the age of seventy-eight, he entered a period of profound inspiration where all his energy and aesthetic principles coalesced into some of his best work. There was no quit in this indomitable spirit whose pictorial intelligence influenced an entire generation of artists. His vigorous brushstrokes and prodigious output continue to inspire us.